​I am currently a Junior at Yeongnam University in Material science and engineering. During first and second years of college, I did volunteer work where I taught underprivileged and students who could not complete high school. I hoped this would lead to improved social education equality, which made me more empathetic to United Nations’ social development goals in this area. From this program, I hope to increase my ability as a member of the global community and learn how they solve world problems especially the social education equality. As a student majoring in division of international studies and an individual pursuing possible career in the global society, I am honored and privileged to be a part of United Nations College Leaders Program. Throughout many years I have had chances to experience and study various topics regarding international relations and SDGs. In 2016 I worked as a member of student ambassadors for ASD: Korean Association supporting SDGs for the United Nations. For approximately three months I was able to build my experience regarding UN SDGs. Our activity included writing articles promoting the seventeen SDGs agenda and visiting UN offices and SDGs friendly corporates such as UNOSD office located at Yonsei University or KT&G, and participate at the inaugural assembly for UN SDGs Forum at the national assembly of South Korea. Currently I intend to learn the interactions between nations of different and similar power, the works of global society for approaching and resolving various problems, and how the United Nation is preparing for sustainable future with intensifying scarcity of resources. I believe the WFUNA College Leaders in UN Program will provide me with more knowledge and experiences to guide my career towards working and contributing for the global society. 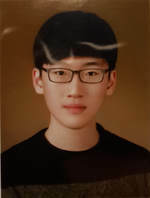 Hello, my name is Dohyun Kim and I’m a student in Yeungnam University. It is a great pleasure to be a member of Korean college leaders at the UN. Me as a college student on pilot scholarship of Airforce, I have a big interest on refugees, wars and prohibited weapons. Through my experience of college leaders at the UN, I hope to know more about UN and hope to seek an opportunity to work in United Nations near future. "Mark" Min Seong Kim is a junior studying political science at the University of Pennsylvania. Prior to joining this program, Mark had completed Legislative internships for U.S. Senator Tim Kaine and Mark Warner. With a special interest in human rights, international development, and East Asian security, Mark has also completed Emergency Assistance Program internship at the Freedom House as well as National Assembly of Korea. Having led legislative events at Capitol Hill since he was in high school, Mark is especially passionate about inspiring college students to engage with their respective legislators on critical policy issues. Student Public Policy Consulting Group, a multi-student organization he founded, has successfully led college students to the United States Congress to advocate for high-profile public interest foreign and social policy issues, including continued U.S. commitment to JCPOA, CHIP re-authorization, SNAP re-authorization, Airport and aviation infrastructure, and CDC funding, after thorough policy research. The group continues to grow and has so far met one-on-one with four U.S. Senators, seven House of Representative members, and many more Congressional staffers. Although he is originally from Seoul, South Korea and now resides in Fairfax, Virginia, Mark is a Manchester United and Toronto. 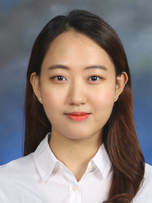 Soo Min is a student at Sookmyung Women's University, pursuing a major in Political Science and International Relations. Over the course of her college years, Soo Min has gained great interest in examining the overall international relations and security. Hence, with such passion, she has been participating in various programs regarding IR and security. She worked as an intern of KACUNS and KAAHS. Furthermore, she believes that the importance of debate and discussion cannot be emphasized enough. Thus, she actively participated in numerous debate societies. She was president of Sookmyung Debate Society 聽 and worked as a director of public affairs in Korean Policy Consensus. Now she is more than excited to be a member of the Colleges Leaders at the UN program. Hello, my name is Yeeun. I am a third year student at the University of Minnesota studying Human Resource&Business and Marketing Education. I hope to purse HR profession after graduation. Hello! I am Youn-jung Kim, currently attending Korea University Division of International Studies(DIS). As a DIS student, I have always had my attention and interest in the United Nation. It is a great honor to be selected as one of the college leaders to clarify the abstract ideas that I have had about the United Nations. I believe this visit to New York will be a great opportunity to widen my perspective and build relationships with other representatives. As a business management and social innovation major, my interest and concerns are focused on role and duty of corporation and social venture for sustainable global society. I hope I can meet people who are interested in cooperating with governments, corporations and international organizations and learn what they think about sustainable society. From my experiences on projects of global social venture, domestic sustainable community and volunteering program for foreign students, I learned a lesson that it’s important to meet as many diverse people as possible to have broad perspectives. I look forward to a forming a multilateral relationship with other delegates who have different or similar thoughts on various subjects and learn from them. It’s a great honor to be one of the college leaders of Korea at the UN and I can’t wait to participate in this wonderful delegation to the UN with WFUNA. “Don’t come near me, or I will shoot!” was the first interaction I had Ta-ta, a 3 years old with his toy gun, at a Myanmar refugee camp. Growing up in a developing country, Thailand, during my Secondary school years, I had the privilege to observe and experience a variety of ethnic groups, cultures and people. Experiencing such diversity firsthand, I cannot emphasize enough the importance of education – especially to young children. I have a passion for providing safe environments and the fundamental rights of child & youth. I am more than excited to join this program with fellow college leaders who are passionate in pursuing making this world a better place. I look forward to learning more about the reality and the field I am interested in. Thank you. My name is Jisu Kim from Korea University, majoring in Korean History. First of all, it is a great honor to participate as one of the representatives of Korean youth. Through this WFUNA program, I hope I could learn, share ideas, and discuss with other fellow delegates about the practical application of peace and justice. Nowadays, there are so many things happening in the world. I want to focus on the ‘Diversity’, such as sexual diversity or cultural diversity and think about how we can make Peace and Justice. I look forward to broadening my perspective about not only a number of global issues including peace and justice but also the international organizations. I hope I could have a good grasp of UN and to meet a variety of people through this WFUNA program. Thank you. A rising senior at Miami University majoring in Finance. Passionate about equity investments and fast developing fintech industry. I am inspired by the modern finance and banking systems that helps fund and distribute wealth in developing countries to generate wealth and increase standard of living. I love outdoor activities such as tennis, mountain biking, cycling, mountaineering, and landscape photography. Ahran Won (Jessica) is a student at Hanyang University in Seoul Korea, majoring in Business Administration (Main major), Chinese Language and Literature (Second major), and Software Engineering (Micro-major). Since her junior high school years in Japan, it has always been Ahran's dream to become a person who has a positive influence on the global society. As an effort to be a global leader, she has chosen to double-major Chinese and Engineering, and taken many courses related to international relations even outside of the university. In the same vein, she has participated in volunteering at Korean NGO and her last internship was at the Korean branch of the British company at Seoul. She is now willing to take actions to fulfill her hunger to learn more about global society in this wonderful opportunity at the UN. I am EunJi Yu from Sookmyung Women's University. My major is entrepreneurship with a double major in clothing and textiles. Above all, it is a great honor for me to participate in the WFUNA program as a representative of Korean Youth 2018, and I am truly delightful to meet all the other colleagues and delegates in the UN. Sustainable Development Goals are something we must ponder upon and consider since we live in an interconnected society, no matter the distance between us. Responsibilities to mitigate global issues are our ultimate goal in the long run; however, youths today seem indifferent rather than taking some actions. With a pleasant heart, I would like to ameliorate these problems with a gentle power to change the world though WFUNA. Being a student intern in school and volunteering at the 2018 PyeongChang Winter Olympics gave me a glimpse of how an organization works and provided learning opportunities with global leaders. Thus, WFUNA will be another great help to widen my perspective to view the world more internationally and develop my entrepreneurial skills as well. WFUNA will create some rewarding values in my lifetime. I am really looking forward to this program and am sure I will be positively influenced by it. My name is Seihoon Lee, and I am a student majoring in Global Affairs at George Mason University. I have always enjoyed opportunities to interact with new people on subjects that we share a common interest on. Therefore, the opportunity to be a representative for the College Leaders at UN excites me ever more. I hope this experience brings me a broader knowledge and sharper analytical skills that will help me to take the next step in bringing solutions to an international cause in the future. Moreover, I would like to take this to another level of also being a teammate to other representatives, as we work together to make a contribution to the international society. It is a great privilege to be chosen as one of the representatives for Korea’s college leaders at the UN. Since I was little, I was always interested in something outside of my field of reach. As I grew up, this curiosity has served as my drive to question the issues that are occurring internationally. Mainly the issues which exceed beyond the borders of my own country and unite people under a common cause, such as human rights. This naturally made me to realize how central of a role the UN has come to play on the international stage and the efforts they have dedicated towards making the world a better place. What was and still is happening around the world is heartbreaking and motivates me to actively engage in the global matters. I believe the WFUNA college leader program would be a valuable experience for me to learn and contribute every bit of effort I am capable of giving towards bettering this world. I am more than glad to participate as part of the team. Hi, my name is Jun Gon Lee, I am a student at the University of Minnesota majoring in Economics. The reason that I chose this major is simple, it could achieve my dream that there is no more starvation, war and human rights violations. By being a global leader, I would make a world that everyone is guaranteed a proper education in peace and justice instead of shooting people for different beliefs. Because I believe that communication provides an easier path into any complex problems than violence. I am currently a rising second-year student at Tufts University. My experience living in an international environment from a young age lead me to firmly believe in the necessity of a union that brings together people of various backgrounds to discuss social and economic issues pertinent to modern society. I am particularly passionate about the societal and psychological origins of gender and racial inequalities and stereotypes and hope to contribute to bringing forth an equal global society in the future. 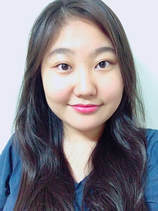 Hi, my name is Nuri Lim, a student at Sookmyung women's university majoring in business administration. I am ready to learn about global issues and take part as a responsible youth leading the society. I hope this summer will be a great opportunity to take a step forward towards my dreams of making a better world. Hello everyone! My name is Haseung (Madeline) Joung and I am a student majoring in Global Affairs at George Mason University Korea. First of all, I am thrilled to be a representative for the UN College Leaders program. I have always been interested in global issues, including sustainable development, and am keen on learning more in depth about SDGs, as well as contribute to the process of building viable solutions. Growing up, I’ve always believed in providing equal education opportunities so everyone is given the chance to unlock their true potentials. Therefore, I carry high interest in the fourth SDG, quality education, and anticipate to learn and understand my field of interest through interacting with various minds and active discussions. I truly look forward to working with fellow college leaders and delegates involved in the United Nations and am excited to thrive in this wonderful opportunity. Hello, I am Dabin Je, a sophomore in Sogang university, pursuing major in philosophy and Education. I hold a faith that education can promote social integration in different socioeconomic, cultural and political contexts. At a time of global threats, such as exclusion and inequality, education is a sustainable key to make people prepare appreciate diversity and cope with conflicts in accordance with the value of mutual understanding. In this sense, I appreciate the chance to share ideas and learn another important values from UN delegates and youth who have a common interest which aims at structuring contemporary world system in the way that the world can last longer in a healthier way. I am excited to learn a number of global issues related to SDG with other participants and acquire a good grasp of UN by taking part in this program. Thank you. Hi. My name is Jieun Chae and I am honored to participate in WFUNA program as one of the representatives of Korea. I had constant interests about the United Nations, as well as the Sustainable Development Goals. Specifically, I participated in many Model United Nations and wrote some papers of the agendas related to the UN’s. Thus, I am really looking forward to learning more about UN with other representatives in the UN headquarters. It was always my dream to work at the UN. I hope that this chance of experiencing the UN headquarters will be a step forward to having an internship in the UN. Moreover, I am very passionate and friendly. So, I am excited to build an intimate relationship with other representatives. I really hope that I can learn a lot and in order to do that, I will do my best to contribute to the program. I am Hyunkyu Choi from the State University of New York in Korea (SUNY Korea). My major is Technological Systems Management (TSM) and I am a senior student. When I studied abroad to Thailand when I was a middle school student, I read Ban Ki-Moon’s autobiography and it motivated me to be interested in the United Nations (UN). While I was reading his book, I got a dream to be the UN secretary-general in the future as Ban Ki-Moon became the Korea’s first Secretary General of the United Nations. So, I got interested in the UN organization and researched what it was. As I studied about the UN, I wanted to help people from all over the world, especially for developing countries. For making a better world, UN member states need to co-operate each other to achieve Sustainable Development Goals (SDGs). As a citizen of a UN member state, it is a great opportunity to be a member of Korean college leaders at the UN. I believe the experience I will have in August will allow me to have a vision to work in the UN in the future. I am looking forward to meeting the other Korean college leaders. Hello everyone! My name is Julia Seungyeon Han, majoring in Applied Mathematics and Statistics and minoring in Computer Science in State University of New York, Korea. I am planning to develop my academic abilities concentrated on pure Mathematics and Statistics with Computer Science. With the help of my statistical insights, I want to be an influential supporter who brings lights to the world. It is my great pleasure to be a member of representatives of Korean College Leaders. I think WFUNA can be a stepping stone for me to grab the opportunities to grow out in the world. In this WFUNA program, I will research about SDG #8, which is about sustainable development with productive employment and decent work. After participating in WFUNA program, I want to be a person who can explain how the world economy works and know what specific solutions should be implemented to achieve the world that United Nations is aiming for. Thank you! Seung Woo Hwangbo is an Occupational Therapy Doctoral (OTD) student at the University of Southern California (USC) and is completing his doctoral residency at USC’s Global Initiatives. He is originally from Seoul, South Korea, and finished his Bachelor’s and Master of Science degree in Occupational Therapy from Yonsei University before coming to USC. For his OTD residency, Seung Woo focused on supporting international students academically, socially, and culturally to adapt to the American educational system. He also oversaw international student externship programs to South Korea, Japan, Taiwan, Denmark, and Australia. He is currently working on building research evidence to support an increasingly global occupational therapy profession and in the future, he hopes to develop global-level clinical, academic, and research collaborations worldwide. There is no doubt that his proactive, passionate, and ambitious attitude would enable him to continuously advocate for his profession and contribute to dealing global health issues. Seung Woo is looking forward to increasing his understanding of the United Nations and global issues, meeting diplomats and experts, and networking with fellow delegates from different universities. His future goal is to represent himself as a globally impactful educator, researcher, and clinician. My experience in the UN Global Compact internship and working in the School of Public Affairs as a student-faculty has driven me to join this 4th WFUNA UN College Leaders program. As a student who attends school in the United States, I know how important an academic environment is and how important it is to listen to many different political/cultural perspectives from multiple people. I hope this program will be an opportunity of sharing, communicating, understanding, and networking. I look forward to meeting everyone in the organization and finding inspiration for our goals.